The DC Bluegrass Festival will feature two days of bluegrass music at their new home in Maryland! Join us indoors and out of the winter weather for the Great 2012 DCBU Band Competition on Friday night (see below for entry details), stay to hear top national and local bluegrass performers and attend workshops all day Saturday, or just pick to your heart's content from Friday night through Sunday morning. Young mandolinist Sierra Hull and her group have also been confirmed to perform. 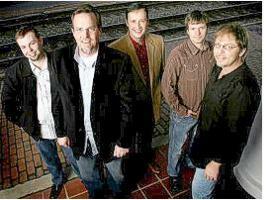 Sierra's band was nominated for 2011 IBMA's Emerging Artist of the Year and Sierra was also nominated for Mandolin Player of the Year. Sierra recently performed at the White House with other country and bluegrass artists including Alison Krauss. Also playing on Saturday: local favorites Mama Tried, Mitch Harrell & The Virginians, the winner of the Friday Band Competition, and much more! A Full lineup and performance schedule will be announced. Learn from the best in bluegrass! Sit in on instrument and vocal workshops with members of the Boxcars, Sierra Hull and her band, and local legend Dede Wyland. Workshop schedule to be announced. Jamming is highly encouraged, so bring your instruments! A secure instrument check room will be provided. Please note that due to fire code restrictions, instruments cannot be brought into the main performance hall. Enter the Great 2012 DCBU Band Competition! Show off your chops to a new audience. Bring your best bluegrass tunes to the festival Friday night to compete for $1,300 in prizes and the opening performance on Saturday.